Here a new comer, who music you can hear throughout the city, phones cars, house, its coming out of speaker somewhere. 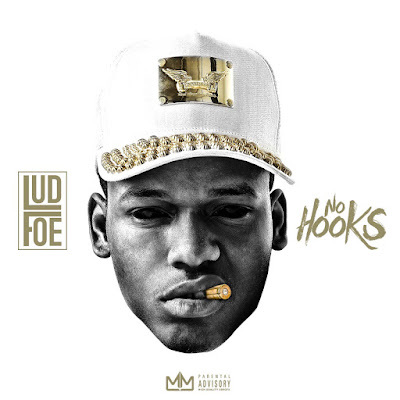 Lud Foe, hailing from the west side, caught fire with the single "Cutting Up" ,which garnered a remix that featured Lil Durk. As his notoriety as the next new rapper out of Chicago, the live shows rolled in, he's hitting stage in multiple cities. A while back his promised a couple new project, today's release "No Hooks" and "Boochie Gang Vol 1". Today we get his debut mixtape, with a track list of 19 songs, produced by Kid Wond3r.